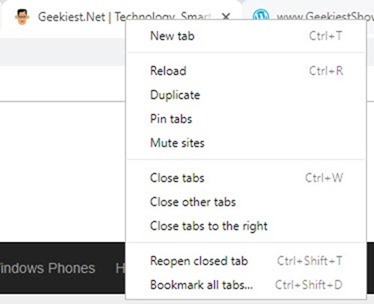 Latest version of Chrome and Firefox supports multiple selection of tabs using the the control key. You can hold the Ctrl and click on the tabs you need to select. Chrome enables this option by default but if you want this option on Firefox you need to change a setting in the configuration. Make sure you do this at your on risk as the Firefox warns changing the advanced settings can be harmful to the stability and performance of the application. You should continue if you are sure of what you are doing. Chrome supports the same feature out of the box. 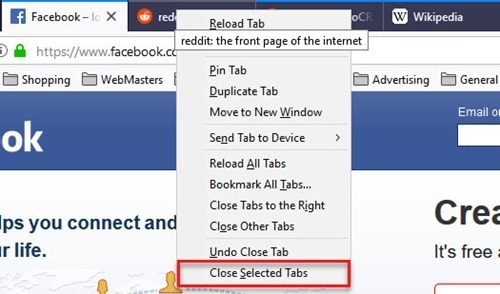 After selecting multiple tabs and selecting close tabs option from right click menu will close the selected tabs only.